Cleveland, OH (August 8, 2018) – AAA East Central, the Ohio Department of Transportation (ODOT), and the Fairview Park Police Department are reminding drivers to be extra cautious as school zones become more active in the coming weeks. The safety partners are also reminding parents of the importance of promoting pedestrian safety with their children. School’s Open – Drive Carefully! As families across the country prepare for the upcoming school year, AAA East Central is launching its annual School’s Open – Drive Carefully campaign to encourage parents to talk about the importance of school zone safety with their children, and to have a conversation with their teen drivers about obeying the laws that are in place to protect school children. Ditch distractions: Research shows that taking your eyes off the road for just two seconds doubles your chances of crashing. Stay alert: Don’t rush into and out of driveways. Expect pedestrians on the sidewalk, especially around schools and in neighborhoods. Stop at stop signs: It sounds obvious, but research shows that more than one third of drivers roll through stop signs in school zones or neighborhoods. Watch for bikes: Slow down and allow at least three feet of passing distance between your vehicle and a bicyclist. Brake for buses: It may be tempting to drive around a stopped school bus, but not only is it dangerous – it’s against the law. The increase in foot traffic presents additional dangers to young students, especially those who walk or ride their bike to school. Unfortunately, motor vehicle crashes are the leading cause of unintentional injury-related deaths among school children ages 5-18. Moreover, nearly 1 in 5 of every child 14 and younger who dies in a traffic crash is a pedestrian. Walk on sidewalks, or if a sidewalk is not present, walk on the berm in the opposite direction of traffic. Cross at the nearest intersection, crosswalk or pedestrian signal when possible. Give yourself time to reach the bus – do not run after or alongside one to catch it. Wear a helmet if riding a bike. Ride in a straight line without weaving in and out of traffic. Keep your eyes and mind on where you are walking or biking, and be aware of our surroundings when you’re near the street. Crossing guards play a unique and important role in keeping local streets safer as children head to and from school. With that, the Fairview Park Police Department is reminding motorists of importance of following their instructions – and the consequences of ignoring them. 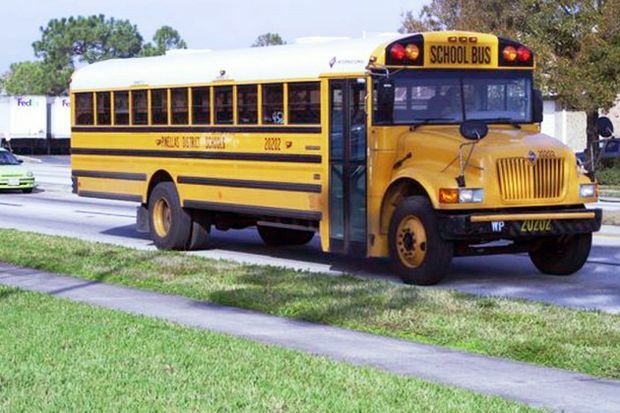 To reduce any anxiety for parents in the mornings, Lt. Shepard also recommends parents give themselves enough time to get their child to school safely, be patient while everyone learns new traffic patterns at the beginning of the school year, and be sure to obey all posted parking restrictions near schools which are in place to ensure the safe and steady movement of traffic. East Central is a not-for-profit association with 80 local offices in Kentucky, New York, Ohio, Pennsylvania and West Virginia serving 2.7 million members. Past news releases are available at news.eastcentral.aaa.com. Follow us on Twitter and Facebook.